Hawaii may be almost everyone’s dream U.S. destination, but—believe it or not—there are still plenty of hidden gems to discover. One of our favorites is Lanikai Beach on Oahu! The Hawaiian word lanikai translates into “heavenly ocean,” and that’s exactly what this beach embodies. Below, we’ve compiled everything you need to know before setting out to discover this beautiful spot. For more insider tips, be sure to access our free Oahu Travel Guide! Some of Hawaii’s beaches are rocky, turbulent, and sport enormous waves. While surfers and adventurous beachgoers adore these spots, Lanikai Beach is different. It’s one of Oahu’s most tranquil, wide-open beaches. You’ll be completely captivated by its calm aquamarine waters, smooth sand, and panoramic island views! Finding Lanikai Beach can be a little tricky, but that’s part of what makes it the perfect off-the-beaten-path Oahu attraction! If you book one of our East Shore Oahu properties, you’ll be just minutes from this beach. We recommend renting a car if you’re staying on the North or South Shore. It’s only about 30 minutes from Waikiki! Once you arrive on the Windward Shore, you’ll notice that there are no clearly posted signs that point toward the beach. However, you’ll know you’re close once you spot the cobblestone tower that reads Lanikai! Access points can be found between the beachfront residences near Kailua Beach Park. Remember to always be respectful of the locals and their property. Picnic at Kailua Beach Park. 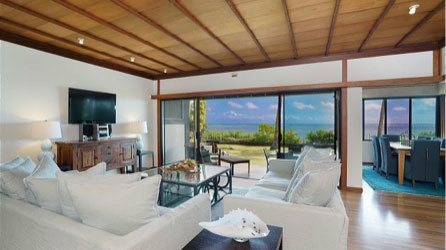 Stay in a Beachfront Home on the Windward Shore of Oahu! 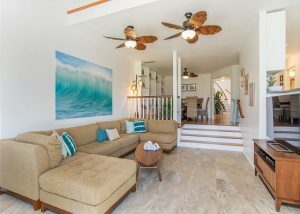 After spending a fun-filled day at Lanikai Beach, you’ll want to come back to the comfort and luxury of your very own beachfront vacation rental! 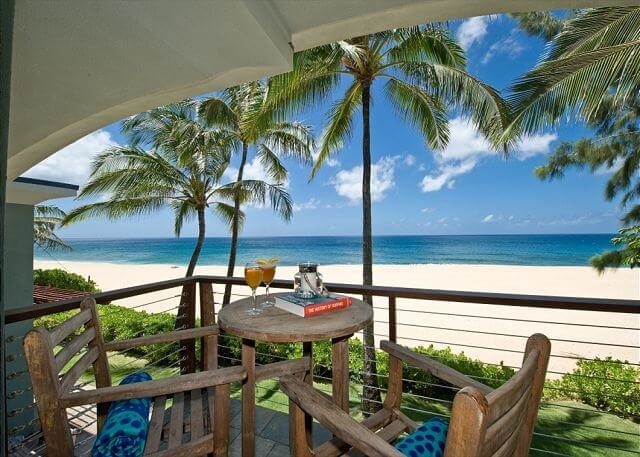 Hawaii Beach Homes boasts a wide variety of bright and airy homes just minutes away from this spot. 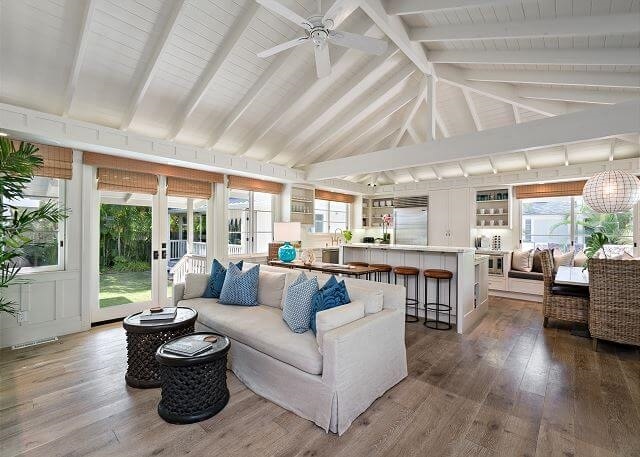 A guest favorite is Sunshine Reef, a 5-bedroom, 4-bath home that’s located on its own private beach (just minutes from Lanikai)! You’ll love this rental’s upscale, modern decor, bright natural light, and proximity to other things to do on the East Shore. It even has two kitchens, making it the perfect choice for big groups or two families traveling together! After an unforgettable beach day, you’ll love retreating to your seaside rental and enjoying premium amenities like an ocean view hot tub, fully stocked kitchen, and complimentary board games. Ready to relax on the beach of your dreams? Check our availability today and start planning your trip to Oahu!